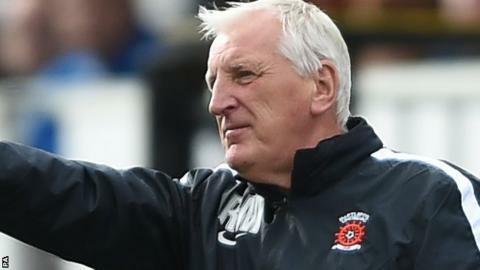 Hartlepool United have prioritised the signing of a physical central midfielder in a bid to toughen up, says Ronnie Moore. Pools are currently 19th in League Two and have won only two of the last 14 league and cup games. That slide came after they started the season with four successive wins. "We'd like to improve every area we've got, but we have to look where we're weakish and that's in there," Moore told BBC Tees. "Be it somebody of steel, who is going to smash people about or someone who wants to get forward more." In addition to the midfield, Moore says defender Alan Tate has given him "food for thought" while he trains with the club but is yet to make a decision on a contract offer. "We're trying to get more experience in there, and that's difficult," Moore continued. "I'm still waiting and hopeful we can get a Championship player in, he's got presence, 6ft 4in, big central midfielder. "We're waiting on their chairman saying yes to what we can afford and the lad wanting the experience to come out and play."